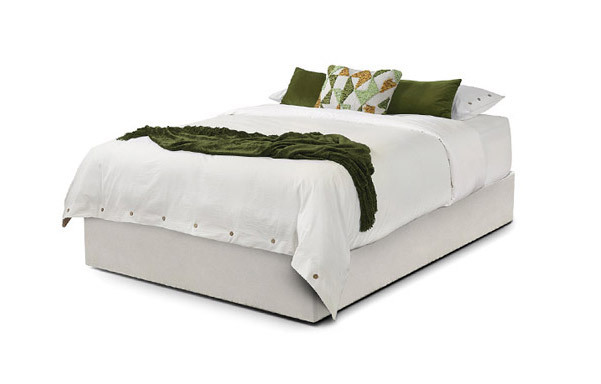 Queen size Upholstered Platform in natural white. Queen size Upholstered Platform in brown velvet. 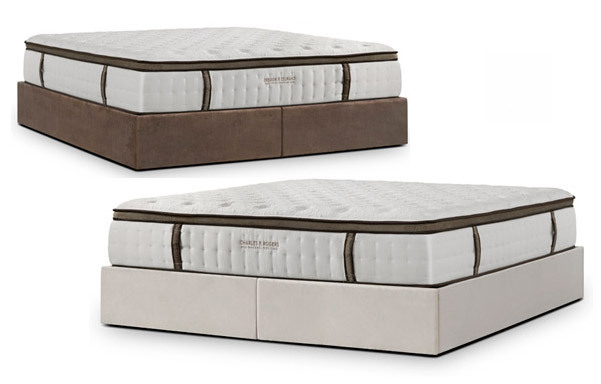 King size Upholstered Platform natural white and brown velvet. 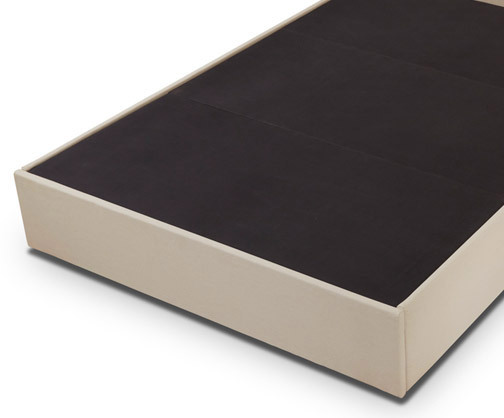 CLEARANCE SPECIAL - Purchase any same size Powercore Estate or Nano mattress and get an Upholstered Platform Base for $99. 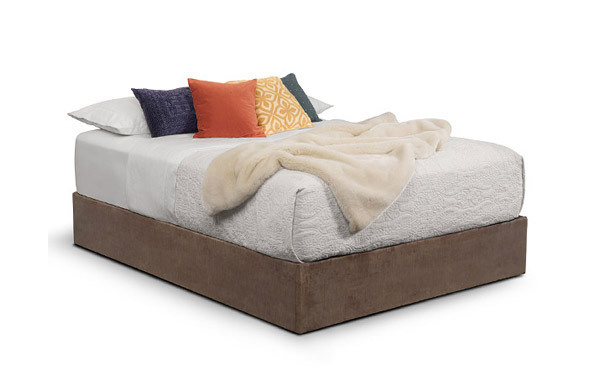 Our Upholstered Platform Base looks great with any decorating style and is a great alternative to a conventional box-spring/foundation for your mattress. The furniture grade fabrics and padding cover all exposed surfaces for a clean finished look. Delivered to your door. Applies to items where size and weight allows faster, more economical shipping. Available to most continental U.S. addresses.